White Mage in FFXI was a dedicated healing class, even with a Black Mage job. However, the Conjurer class in FFXIV and the White Mage job can gain access to at level 30, which are far more battle-ready than the White’s of FFXI. 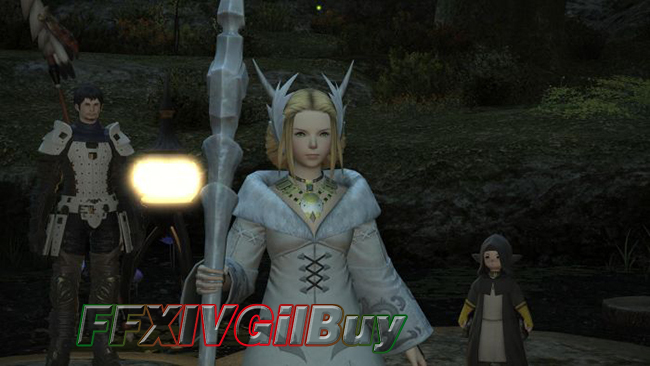 This guide is to give some tips at the early levels of the Conjurer and how best to reach the coveted White Mage. The Conjurer starts the game in Gridania. Follow up with the main story quests, which will lead you to Conjurer’s Guild. And you can start the Conjurer class quest line. Following these two quest lines, you can reach level 15 with these source of exp and begin to get access to dungeons. Before you get the airship pass, make sure you have completed the level 10 Conjurer quest. Then head to other cities following the main story quests. When arriving at Limsa Lominsa, head to the Arcanist guild and speak to the receptionist to unlock Arcanist. In order to get access to the White Mage job when your Conjurer reaches level 30, you have to level Arcanist to level 15. Also, you can use Bio and some other Arcanist spells when you level up Conjurer. For solo play, Conjurer has a few tricks up his sleeve. At level 6, you can get access to the Cleric Stance ability. This swaps your stats for MND and INT while increasing magic attack damage by 10%, and lowering Conjurer as it impacts his healing ability. The higher the mind stat, the more potent your healing spells can be. At the same time, Intelligence impacts magic attack damage. It gives the Conjurer more attack power at the cost of healing potency by swapping these two stats with Cleric Stance. The primary role for a Conjurer is to heal the party when running dungeons. You need to focus on healing tank. And you may have to heal other members in your party. You can start each dungeon by casting Protect on the party, which lasts half an hour, therefore keep an eye on the timer and recast the spell between battles when there are about 5 minutes left. This can prevent the spell from running out when battling. After the tank has dealt with the enemy, you can start dungeon battles with Aero. Aero is a DoT spell, which can continually inflict damage for 20 seconds or so. Every little bit is helpful when your job is not to inflict damage. You can use Fluid aura to knock mob back and bind it in place when drawing hate from the mob. Though the bind lasts less than six seconds, it is long enough for the tank to regain hate and keep the mob away from you. During later dungeons, when mobs inflict status effects on the party, use Esuna to remove these effect. After the initial engagement, you should focus on the party members and keep them alive and well. It is a long way before you can unlock White Mage and reach the level 50 cap, but these tips can be helpful during the early stages of the game. Buy the way, if you want to buy FFXIV Gil, FFXIVGilBuy provides cheapest FFXIV Gil with fast delivery!